The discussion matters more than the final answer. One of the most persistent math myths in popular culture is the idea that mathematics is primarily about getting right answers. The truth is, the answer doesn’t matter that much in math. What really matters is how you explain that answer. An answer is “right” if the explanation makes sense. And if you don’t give an explanation, then you really aren’t doing mathematics at all. Here is a short sequence of numbers. Can you figure out the rule and fill in the next three blanks? Remember, what’s important is not which numbers you pick, but rather how you explain your answer. Perhaps the sequence is the prime numbers? The prime numbers make a wonderful sequence, though it isn’t the one I was thinking of. I hear so many people say they hated geometry because of the proofs, but I’ve always loved a challenging puzzle. I found the following puzzle at a blog carnival during my first year of blogging. Don’t worry about the arbitrary two-column format you learned in high school — just think about what is true and how you know it must be so. 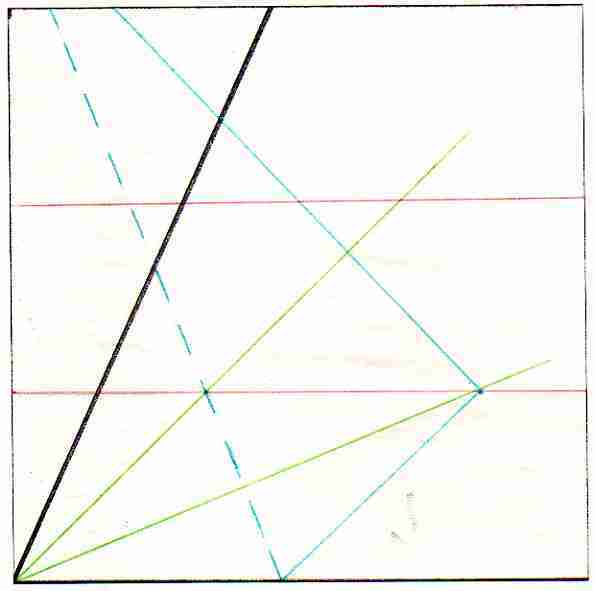 One of the great unsolved problems of antiquity was to trisect any angle using only the basic tools of Euclidean geometry: an unmarked straight-edge and a compass. Like the alchemist’s dream of turning lead into gold, this proved to be an impossible task. If you want to trisect an angle, you have to “cheat.” A straight-edge and compass can’t do it. You have to use some sort of crutch, just as an alchemist would have to use a particle accelerator or something. A Simple Geometry Proof or Circular Reasoning?? Is it possible that AB is a chord but NOT a diameter? That is, could circle ABC have a center that is NOT point O? Jake shows Jack a piece of wood he cut out in the machine shop: a circular arc bounded by a chord. Jake claimed that the arc was not a semicircle. 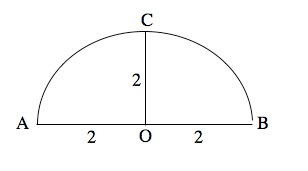 In fact, he claimed it was shorter than a semicircle, i.e., segment AB was not a diameter and arc ACB was less than 180 degrees. Jake wasn’t buying this, since he had measured everything precisely. He argued that just because they could be radii didn’t prove they had to be. Which boy do you agree with? Pick one side of the debate, and try to find at least three different ways to prove your point. If you have a student in geometry or higher math, print out the original post (but not the comments — it’s no fun when someone gives you the answer!) and see what he or she can do with it. Dave offers many other puzzles to challenge your math students. While you are at his blog, do take some time to browse past articles. Feature video by Stuart Jeckel via youtube.